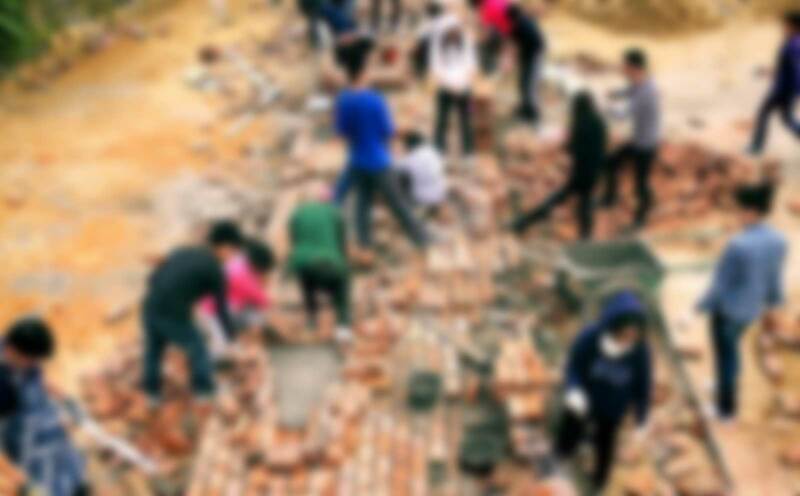 24 student teams will spend 9+ hours (per team) to prepare and on-site execute 24 community activities in a NPO center, clinics & hospitals in Wong Tai Sin on mental health and self-help groups development for hundreds of people with mild mental illness or at risk of having mental health problems. These generate platforms for students to face-to-face interact and engage with their study/service targets, to sense & connect this social work CCC course’s knowledge & skills about mental health with the reality. Videos on projects will be produced for HKU & community stakeholders to use for education. The self-help groups generated are valuable social capital to be continued by the NPO partner. Social Sciences year-1 student teams will apply, test & deepen their knowledge & skills learnt from the social work course and a 3-hour agency & community visit through identifying their 20 different social service target groups in the HK society (total 240 beneficiaries) with justifications, designing & implementing 20 half-day service-projects for them which respond to the assessments on their needs, abilities, characteristics, interests and preferences, with on-site preparation & trials of activities, collection of participants’ feedbacks after activities and videos production for public awareness on issues. BScBEd & BScScBEd year 2-4 students will learn using education as tool for human enhancement. They will design a project for the underprivileged children in Vietnam, work on-site for 2 weeks for implementation with the local NPO & university students. They will conduct need-assessment with HKU Social Work. The project prepares students (future teachers) with awareness, proper attitudes, professional knowledge, skills & experience of education to non-school contexts. Their curriculum and teaching materials developed will be shared with the NPO’s teachers & volunteers to continue to use. To develop teaching skills in real classroom. Year 1-4 BEd students (major in English Language Education) will outreach to schools and community centres to deliver 6 one-hour children book-reading sessions to practice English teaching through reading aloud literary texts like short stories, novels, poems, songs, films, advertisement and cartoons for the 300+ disadvantaged children in small groups. Material prepared for the mini-lessons will be shared and used by CP’s hundreds volunteers to serve more disadvantaged children. Ten groups of 12 students selecting one out of 18 districts of Hong Kong to critically examine expressions of “freedom” through artistic and cultural artifacts. Students will interview community participants, document using visual and multimedia texts of these expressions, reflect and present convincing arguments on how artifacts enhance or hinder freedom, and disseminate all back to the public through a website. Year 2-4 B Education (double degrees) students will apply and develop their mentoring & interpersonal skills and awareness on social justice & inclusion in education through 1-to-1 mentoring the underprivileged and at-risk secondary F.4-6 students both academically and socially. They will organise 15 one-hour outreach mentoring sessions and 2 excursions with their mentees over a year. This course pilots the long term goal of the Faculty in using Mentoring programme as a core component for teacher training. 90 reading sessions (3 one & half-hour sessions per person) across 14 sites will be led by year-4 B Ed students (in Primary English Education) to educate the underprivileged primary school children on English literacy. The project provides a platform for student-teachers to practicing teaching skills and developing English literacy curriculum materials. 30 sets of curriculum materials developed will be shared to the NPO partner’s hundred of staff & volunteers to use for teaching disadvantaged children across HK. Year-4 Architecture students will spend 100+ hours to experiment different techniques for constructing architecture details to tackle sustainability issues, including application of recycled and reused materials,and new construction processes. They will conduct 5+ meetings with engineers, wood craftsmen, bricklayers, concrete pourers and steel benders to understand the opportunities and restraints in real life context. They will produce models, comprehensive working drawings and also public exhibition at the “Shenzhen-HK Biennale of Architecture & Urbanism” for knowledge exchange. Students of this Landscape Architecture CCC will study and express their environmental concerns and opinions via the process of 4-day on-site making 10 pieces of land art at a HK site which can draw environmental awareness. Students will have preparation days and direct communication with local community before the installation. The works will be exhibited to share students’ thoughts to the general public and raise awareness to the environmental issues happening around us. Ten students will learn about all aspects of fieldwork for linguistics, including social expectations, ethical issues, interview preparation and linguistics elicitations. They will make four visits together with a local community partner who will facilitate students access to the site and people for interview. Assessment reports outlining issues of linguistics and social relevance, plus documentation of oral histories will contribute to the public. 120 students will be divided into 10 groups to outreach to 5 to 10 districts in HK to assess the risk and people’s awareness with facilitation from respective community partners. Each group would conduct a disaster risk reduction project using knowledge gained from the course and feedback from different major community stakeholders. The projects could be in the form of awareness raising campaign, implementation of risk mitigation measures and etc. Ultimately an exhibition will be held for public information. Students of this Sociology CCC will participate in oral history projects in Central & HK South to collect and study historical information primarily through on-site visits, observations, interviews and different interactions with people over Oct- Nov, after attending 2-3 hours guided tours by NPOs. They will learn to observe places and social relations; and learn from everyday life experiences in a way that complements teaching and learning about HK society. They will do poster presentations in campus for knowledge sharing; and share their data, analysis & findings to NPOs to enable their community work. 25 students will acquire and apply knowledge and skills in balance assessments through a series of dance training workshops (about 24-hour) together with the elderly. Students would inform the elderly participants their results in balance assessments to help elderly identify their risk of falling. The project would also contribute in the field of geriatric rehabilitation and elderly fall prevention. Twenty-five students will use their knowledge, skills and creativity as architects to define and enliven a hidden aspect of a contemporary city, subdivided flats in the aged building clusters of the Aberdeen district of HK. 10 subdivided flats with 30 residents will be chosen for students to investigate their needs for home improvements. Solutions developed from the project could be transferred to NGOs for larger scale implementation in the Southern District. About one hundred students in total from Semester I and II will be guided to design, plan and/or implement real businesses that have a social purpose. Four social enterprises have been vetted carefully with major social problems and needs identified to be the community partners. Students would work directly with them to develop business ideas, conduct research and implement project plans. Students taking this course are from different disciplines and will apply academic business concepts to cure ills suffered by the most vulnerable in the society. Having acquired the respective knowledge in exercise prescription, and based on the demographic data and health conditions of around 40 elderly participants provided by HKSKH Western District Elderly Community Centre, 25 students will work collaboratively in designing a physical functioning assessment protocol in order to collect required data for analysis. They will then provide a set of safe and data-informed exercise plan to enhance health and physical functioning to those participating elderly. The project should help prepare students for their future careers at the related allied health realm, and consolidates a better appreciation of the value of Exercise and Health for the older members of the community. This interdisciplinary project lets 3 more majors of students (Ecology, Environmental Science, Biology) have 12 full days hands on intensive training and project fieldwork at the laboratories and oyster cultivation farms at HKU & Deep Bay (Hong Kong) and the Oyster Hatchery Industry at Penang (Malaysia) as working with Universiti Sains Malaysia. It enhances students’ practical knowledge in applied larval biology techniques and advanced coastal aquaculture production systems that will enable them to design, construct, operate and maintain oyster aquaculture facilities. Students will then organize a workshop to engage the HK’s public (i.e. oyster meat consumers), raise awareness and present their innovative project ideas for sustainable and economically viable larval biology and aquaculture in HK. The students will share knowledge with about 100 HK oyster grower families to help their sustainable production of oyster meat and restoration of wild population. 12 students will work in collaboration with two NGOs in HK and two local univerities in Cambodia to collect data on health issues and inform related preventive interviention for the communities. Prior to the 2-week trip together with the teachers, students will be trained and gone through some real-life simulations of a refugee camp to understand rural liviling style and develop required manners and procedures for research activities in Cambodia by the NGOs. Students would develop nutritional epidemiology and research tools to determine factors involved in public health nutrition and identify its relationship with public health education, poverty and inquality in different societies. Students would also transfer knowledge to the local communities to enable them to carry on related works in Cambodia. Around 40 students will provide consultation services to local micro businesses in an overseas country for a period of one month while living with local host families. Students will generate reports on each client’s business, including short term practical ideas, as well as fundamental business strategies. Students will also follow up with the clients of last year’s class, collecting data to determine impact. Throughout the month, students will contribute to a class blog to share their experiences. The teacher will arrange training workshops for students before departure and provide daily guidance while in country. Students will travel to the ancient village of Peitian in Mainland China for 12 days. ExL activities will include: 1) visiting the workshops of local craftsmen to know about the processes, tools and intelligence behind the design and building of vernacular dwellings; 2) documenting the historic architectural precedents and existing timber structures of the area; 3) working with the local skilled carpenters to build a real timber structure to experience the local methods and challenges; 4) developing construction methods and details based upon the village’s conditions and available resources; 5) preparing design and construction drawings and preliminary models; and 6) participating in studio reviews with local practitioners and experts on rural construction. A booklet and exhibition will be produced and the experiences will also be promoted in professional architecture journals and online platforms. Students will have 60-hour ExL activities in HKU campus, Pokfulam Village and around various districts in HK to apply the concepts of cultural studies of tourism to design a heritage tour. Activities will include participation and evaluation of a heritage tour, field trip, interviews with local residents, community stakeholders and experts, training workshop on travel guide writing for non-local tourists, organizing free trail-tours, website and booklet production, in partnership with the Caritas Pokfulam Community Development Project. Students will analytically engage in the current debates over mass tourism and its social impact on host societies in recent decades, evaluate the impact of heritage tour on local community and heritage preservation, and reflect on personal experience as a tourist and a tour organizer. Information will be shared to the public through website and booklet. This oversea project gives students a 3-week intensive training at the Sarasas Ektra School in Bangkok. They will have meetings and workshops with university tutors and the Thai teachers on-site, conduct lesson observation, study the school context, teach trail-lessons, organize learning activities related to science, mathematics and cultural exchange and conduct a project debriefing for 400 grade 7-12 pupils. This project aims to facilitate students to demonstrate an in-depth understanding of science education in a different cultural context, identify and critically reflect upon one’s own social position and perspectives in education, as well as learn to plan, implement and critically evaluate the plans for teaching and other educational activities in different cultural context. Students will collaborate with local team members, peers and overseas stakeholders to solve problems and exchange knowledge and understanding in education and culture. Students will collect, quantify and classify the microplastics content of oceanic waters of Hong Kong to investigate their impact on the environment. Students would experience on-board sampling at sea and learn how to interpret data in collaboration with the NGO and other parties involved. Findings will be presented to the communities (local beaches, primary and secondary schools and HKU campus) with the aim to develop the social awareness about plastics and its impact in our life. Glocal Solutions is a cross-disciplinary project collaborated by the Faculty of Social Sciences, the Department of Civil Engineering and the World Vision Vietnam (WVV). Twenty students from both disciplines will be recruited and form into cross-disciplinary teams to work together. Prior to the project commencement at the Hung Yen Province in Vietnam, students will receive one week intensive training at the HKU campus with the focus on various development models to empower local communities in rural areas, cross-cultural communication, needs assessment, project management and multimedia skills. The seven weeks’ experiential learning will be divided into two components: a) Students have to conduct needs analysis on the reading habits and make recommendations on how a library system may enhance students’ learning at the Cuong Chinh Secondary School; & b) Students will work closely with local contractor and the WVV to supervise the construction work of a single-storey library at the same school. 352 students from the school would be benefited directly from the library and the related skills training while the community stakeholders in the Cuong Chinh and the WVV will build on this model to enhance students’ reading habit which is part of the local government education goal and the NGO’s development indicator. Students will examine the political and cultural aspects of the Fair Trade system by working together with local farmers Southeast Asian countries. They will spend two months partnering with local organizations to document local farmers’ fair trade journey using the rural community needs assessment techniques. This cross-cultural project will offer students opportunities to interact with farmers in tea, coffee or rice farm. It is also a cross-disciplinary exchange for students from Comparative Literature and Social Sciences to apply their respective knowledge of cultural and political analysis to the global agriculture business area. Upon return from the two month field visit, students are required to present their learnings and undertake critical comparisons across different cultural and political context in a debriefing workshop. Comprehensive preparation training will be arranged for students to develop knowledge and skills in fair trade, permaculture, needs assessment, narrative and cultural analysis, video production, cross cultural communication and ethics in international community engagement. The two Hong Kong community partners will use the farmers’ stories produced by the students to educate the public and bridge the information gap between the producers and consumers. “Design on the Road to Burma” applies design studio methods to transnational frontiers, facilitating 20 BA(LS) students’ learning through active problem-setting and production of regional landscape planning proposals. During a 7-day field visit to Dawei and Yangon, students present their preliminary research on major conservation and development issues to civil society and international NGOs. Students then use this direct feedback to propose highly graphic visions of alternative futures, promoting sustainable development and facilitating equitable dialogue during the ongoing formalization of land uses in southern Myanmar.